Steel coils in one of holds of general cargo ship WILSON AVONMOUTH shifted during her voyage from the UK to Turkey on New Year’s eve, while the ship was crossing Bay of Biscay. There wasn’t any immediate danger to ship’s stability and safety, but it was decided nevertheless, to shelter in nearest port and relocate and secure the cargo. WILSON AVONMOUTH called at Viveiro Port, Spain, and is still docked at port. Reportedly, all stowage works will by completed by Jan 12, and after that, the ship will resume her voyage. 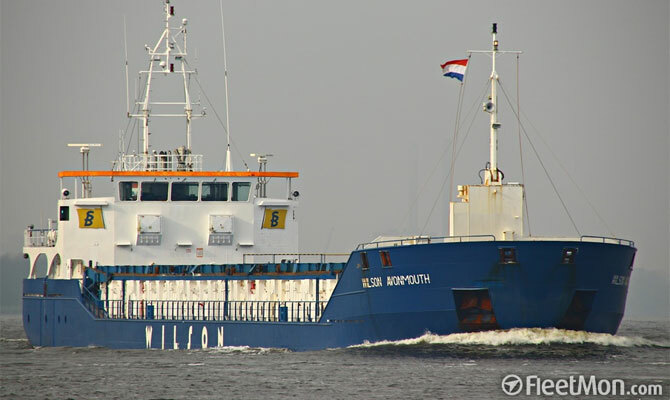 General cargo ship WILSON AVONMOUTH, IMO 9313747, dwt 3595, built 2010, flag Malta, manager Vertom-Bojen Bereederungs GmbH & Co. KG.